See more objects with the color sienna rosybrown rosybrown darkkhaki silver or see all the colors for this object. This is a Sample. It was designed by Sheila Hicks. It is dated 1965 and we acquired it in 2013. 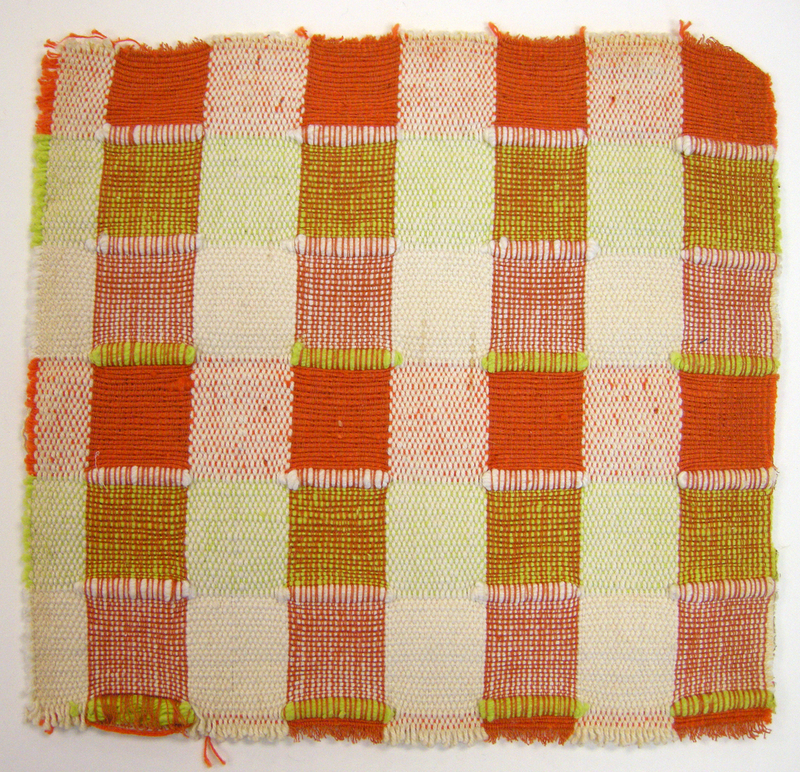 Its medium is cotton and its technique is plain weave with complementary warps, stripes of twill weave, with discontinuous supplementary wefts, hand woven. It is a part of the Textiles department. Since the beginning of her career, Sheila Hicks has worked as both an artist and a designer, collaborating with architects and with industry. After graduating from Yale and studying weaving for several years in South and Central America, she established her own experimental weaving workshop in Taxco, Mexico. The weavings she created there were exhibited at the Knoll showroom in Mexico City in 1962, and at the Chicago Merchandise Mart the next year. In 1964 she met Florence Knoll Basset, who engaged her to produce textile designs and to serve as materials and color consultant to Knoll Textiles. She also designed hand-embroidered upholstery for Knoll International in France, for use on Saarinen pedestal chairs. It is credited Gift of the Cristobal Zanartu Family, Paris.